Billboard and hip-hop have a strange relationship. There's little love for the way the streaming numbers are calculated, but there's widespread acceptance of the accolades that artists hit. The way the streaming numbers are counted highly benefits bigger artists, and makes charting more difficult for the independent guys. 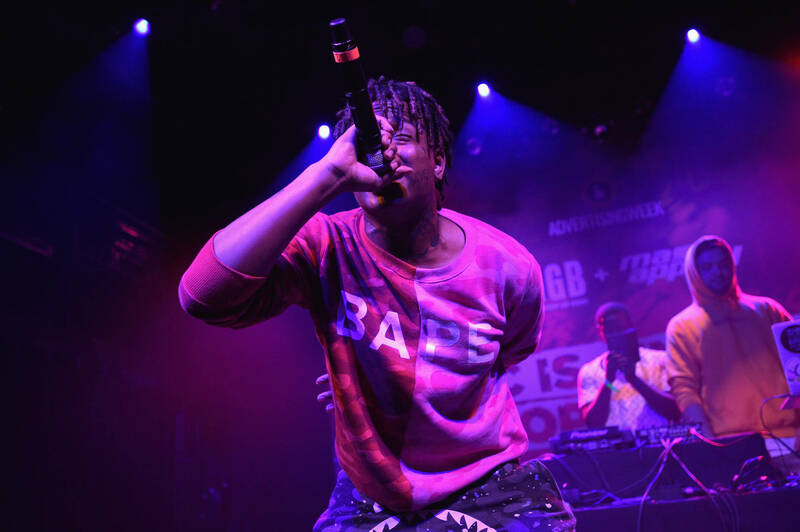 Still, Ski Mask the Slump God was able to launch himself onto the charts. Ski can finally count his name among the artists that have charted on Billboard's single-focused Hot 100 chart. Ski released Stokeley last month, and it earned the sixth spot on the Billboard 200 chart. Two singles from the project have outshined the others by giving Ski his first taste of the Hot 100. "Nuketown" and "Foot Fungus" entered the chart at numbers 63 and 81, respectively. "Nuketown" was easily a fan favorite. The dark single dives head first into emo territory and features hip-hop sensation Juice WRLD. On "Foot Fungus," Ski reinvents Snoop Dogg and Pharrell's "Drop It Like It's Hot." He goes for the shock factor, and spits about whatever he thinks will grab the audience's attention. It worked. The Floridian artist rose to fame through a collection of work on SoundCloud, and many were first introduced to him alongside XXXTentacion in the Members Only collective.